Structures Design Manager and Sales & Marketing Coordinator, Deborah Way, has been honored with a truly remarkable distinction by being named in Professional Builder’s 40 Under 40 Class of 2016! Professional Builder is a national magazine and receives nominations for this award from all around the country from those in the building industry. We cannot think of anyone more deserving of honor than Deb!! Read all about the 40 Under 40 Class of 2016 HERE – you can jump right to Deb’s profile by clicking HERE. 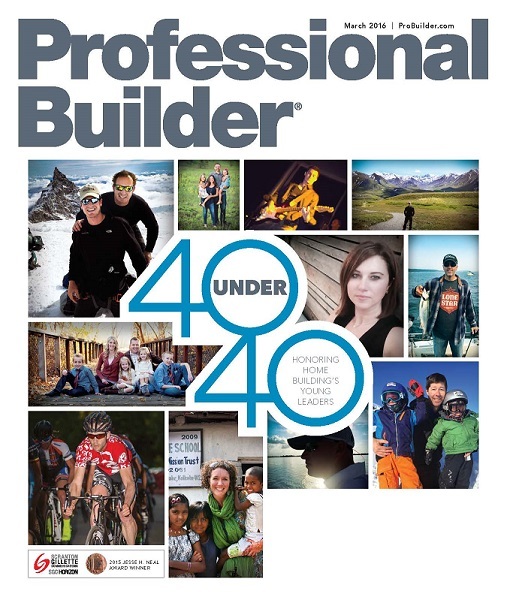 You can also subscribe to Professional Builder Magazine by visiting their website.